I've been on a healthy kick for the last year, and after losing 20 lbs and then an additional 7 lbs this past month, I've seen the benefits of eating good foods. I discovered Sari Foods spirulina powder a couple of months ago, and after doing a little research (people says that it tastes like pond scum) I found out that it has a lot of beneficial properties. For those of you who are curious to how I eat this, I put a spoonful into my smoothie in the mornings. If you want me to do a recipe of my smoothies, let me know! 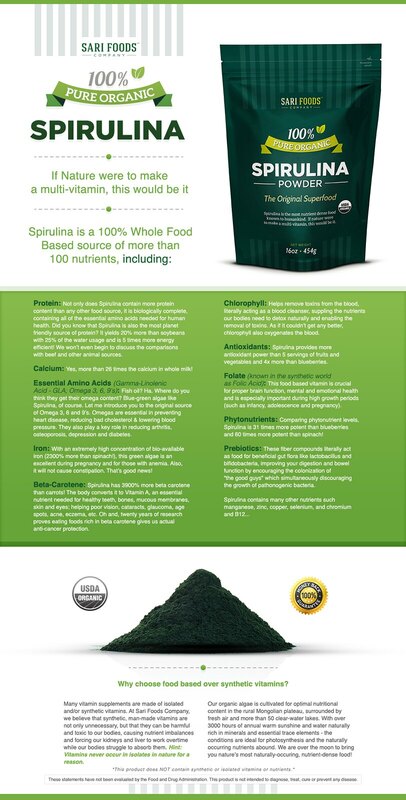 For more info about Spirulina, check out this website. I found a lot of info about Spirulina and how to incorporate this powder into your diet on that website. 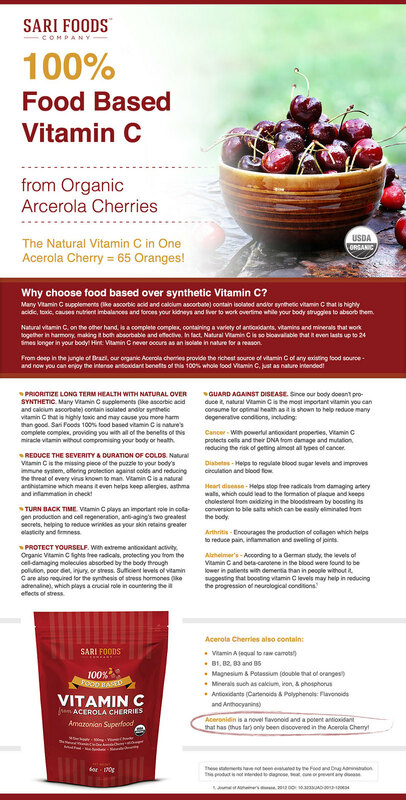 You all know how I feel about Vitamin C on skin, so what's the next best thing Vitamin C in your body of course! And this is a really good way to get Vitamin C into your body, for those of you who are either allergic to oranges/orange juice. Or just don't like the taste of orange juice. You could easily put this powder into your smoothie for a good dose of Vitamin C! Cassey Ho who is Blogilates talked about Yeast flakes in this video of hers, and I have to admit that this stuff is really good! It's a substitute for cheese, and even though I love cheese, I try to not eat that much of it, because I don't really want to eat processed foods all of the time. Even though yes I do love my kraft grilled cheese sandwiches, I don't eat them often. 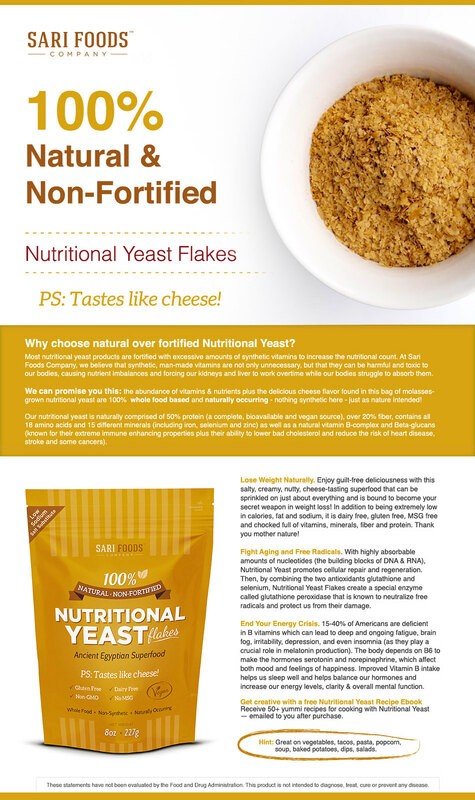 Yeast flakes can be put on anything that you might want a little flavor on. To purchase Sari Food products check it out here. Oh, what a great, informative post :) You've lost so much weight; I'm admirin! !